It’s a man’s world? Not for long, if the women of the world have anything to say about it. While we’re not quite hitting those gender equality goal hopes just yet, times they are changing. We are lucky to live in a relatively progressive society in Australia where in most places, businesses, and groups, anything a man can do – well, a woman can do it too. And just because tech guys are usually just that – guys – doesn’t mean that women aren’t making waves in the tech world too. 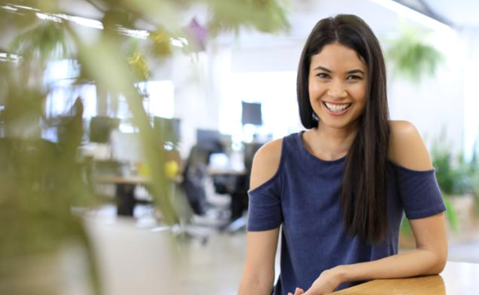 Australia’s darling woman in tech, Melanie Perkins, founder of unicorn Canva, is a prime example of just one of the fresh faces of women in the industry who are gaining success in a typically male-oriented field. Just how male dominated a field are we talking? Well, according to the latest figures from The Australian Bureau of Statistics, only around a quarter of the tech workforce is made up of women. In fact, there are less women in tech now than there were 20 years ago, when the gender split was around 50/50. What this means is that women, while a minority, are the underdog in tech. And we all know Aussies love a good underdog. If you take a walk down a busy Australian city street you’ll see a diverse mix of people, all colours and races, ages, and a fairly even gender split. So why aren’t we seeing these same faces represented in business? To be able to have insight into all walks of life, and glean knowledge from these insights to better leverage business, diversity is key. And this is exactly what businesses are slowly catching on to, although the pokies and online betting industry still somewhat lags behind. When a business is made up of all of the same type of people, you can easily miss flaws that would be easy to spot by others. The 50/50 by 2030 organisation is behind a surge in business to have more women in the workplace, and to better retain these staff, too. Workplaces are busy trying to implement gender diversity quotas and really work through the nuts and bolts of how to further support women in the workplace once they have them on board, through things like mentoring systems, flexible working arrangements, events and ongoing engagement programs. However many workplaces now have generous maternity programs, the option of flexible working arrangements, and sometimes even childcare on site, to help ease the load. It is less of a struggle to do both (from a working arrangement standpoint!) than it once was. Stay at home dads are far more common these days than the lone wolf they once were. Still, there are less woman CEOs and directors leading the ASX top 200 companies than there are men named John, or Peter, or David. Hopefully these child-friendly working arrangements will help women climb the career ladder without having to “take (too much) time out” to balance having a family too. Due to the increased interest in stronger diversity in the workplace, we are now seeing more and more Australian female first tech initiatives, heavily supported both by big companies, as well as women who have forged solid tech careers for themselves. Here are just a few of the current initiatives that we’ve seen for women in tech of late. The Springboard Enterprises female-only startup-accelerator is a great opportunity for women looking to scale and turn their business into something really special. The various programs offer female founders support, learning, and the opportunity of a lifetime to help grow their startup project. The lessons gleaned from these type of programs in still business-savvy in a fast-paced environment. The Women in Tech Australian conference is a place where women in tech can network and learn what’s on the cutting edge of technology, as well as workplace diversity initiatives. Part of a global women in tech series, this conference offers one of the best networking opportunities around for women in tech – as well as organisations interested in getting more women into their workforce. The Developer scholarship was designed to give women a chance at a career change, a fully paid position/scholarship to study software engineering and gain employment at accounting heavyweight MYOB. Other companies have similar scholarship programs. It’s prime time in Australia for women in tech. Why? Because a savvy woman can work a disadvantage to her advantage. With the right communication and business skills in place, women can utilize their minority position to make a difference. Much like the Australian government often hinges on the power of independents, women can get ahead simply by being engaged, smart, and strategic in their field. Seeking out positions where working mothers are supported by the company can help mums get back on their feet quickly after having kids, where they can feel safe in the knowledge it’s not going to be looked upon as a detriment to their role. With gender diversity initiatives at an all time high, this allows women to speak up and be heard, rather than ignored. Gender role norms are slowly changing. Equality in the workplace is making strides. The future for women in tech is bright – for those who want to take it up. While it’s still not a popular choice for female tertiary students, there are plenty of programs on offer to help young Aussie girls get into STEM fields early, pique their interest, and capture their attention. The younger that girls with a talent or interest in the field get involved, the better – so that’s where our attention and funding should be on to bump up women in tech to that 50/50 split.